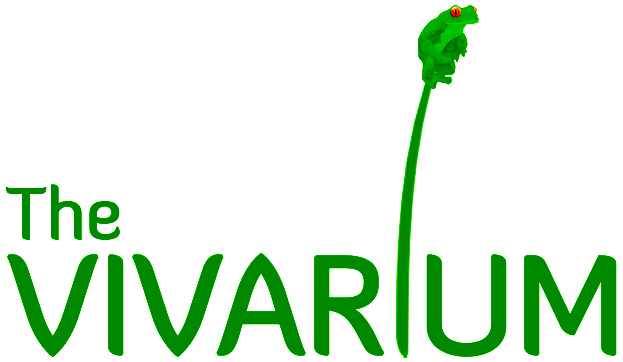 Here on the Frog Blog we are no strangers to frogs that look like leaves. However leaf mimicry is not an adaptation exclusive to frogs, in fact there are a lot of species (often hard to find) that use this body design to evade detection from predators. 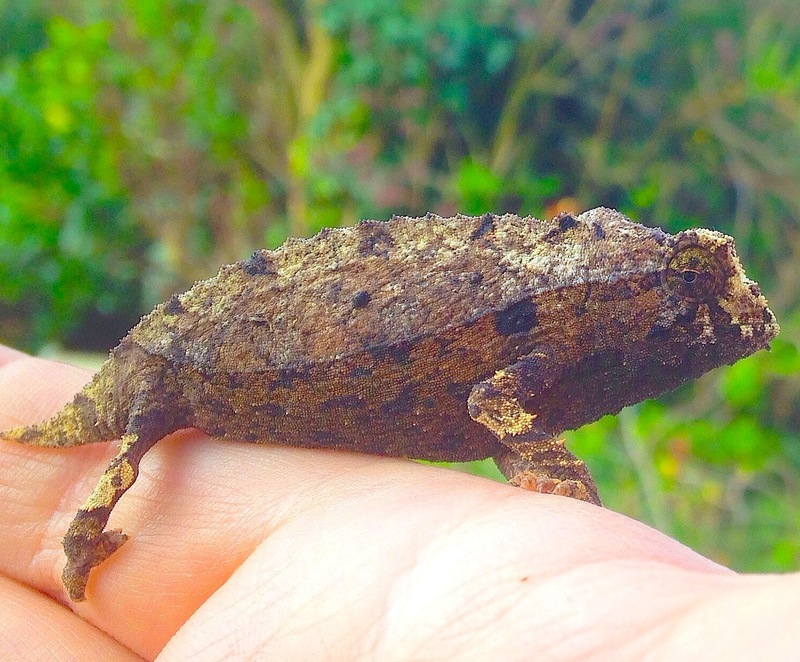 One such species that I currently work with is the Bearded Pygmy Leaf Chameleon (Rieppeleon breavicaudatus) which is a tiny species of stump-tailed chameleon originating from the Eastern Usambara and Uluguru mountains in Tanzania. This is a tiny species, with adults rarely exceeding 82mm in length. In fact they can be as small as 50mm fully gown. They are characterised by their high and laterally compressed body and reduced tail, which when combined together with their distinct lateral stripes have a remarkable similarity to a dead or wilted leaf. Unlike a lot of chameleons this species will spend a lot of time on or close to the forest floor hunting for small invertebrates. 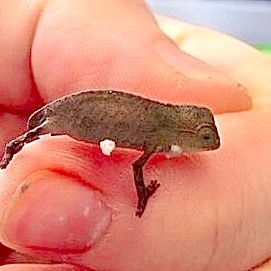 Eggs of Bearded Pygmy Leaf Chameleon (C) M. O’Donnell. This specialisation has enabled them to be become very successful in surviving, and in the places they occur they are considered locally common. Maintaining and breeding this species in captivity is also becoming more successful. 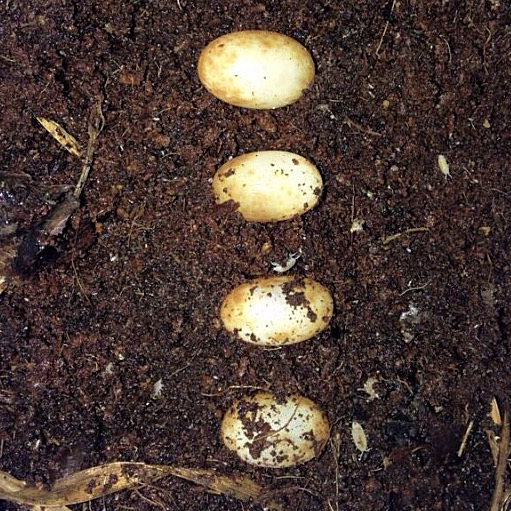 Females can produce between two and six eggs up to six times per year; the eggs resemble tiny tic tacs and will incubate in an incredibly short time – as quick as in 40 days given the right temperature and humidity! The young hatch out looking like complete miniatures of the adults, and are about 18mm in length and begin feeding almost immediately. These chameleons live life in the fast lane and take only nine months to reach maturity, which is necessary for reproducing as in the wild they can expect to live for only a couple of years at best. 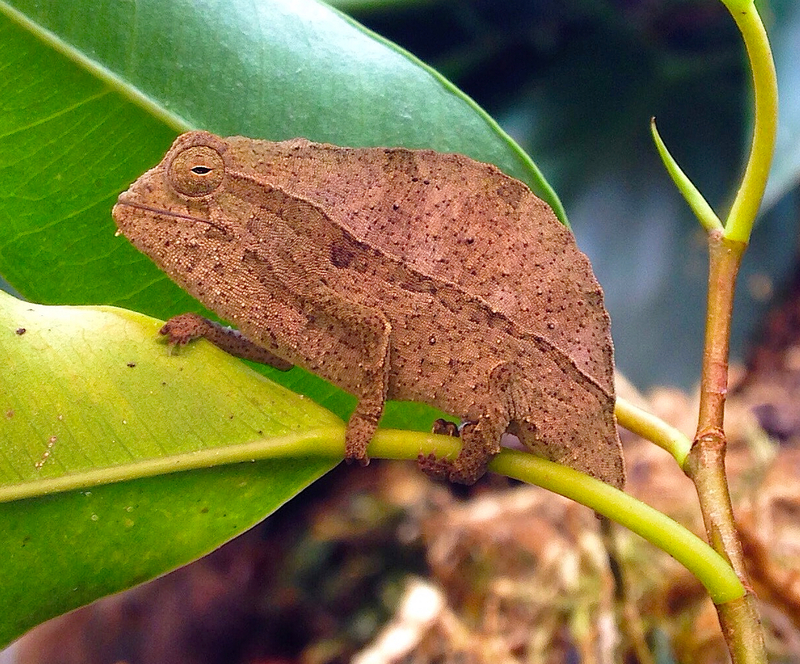 I am sure you will agree with me that they are a fascinating little chameleon species, and I will be happy to keep you updated on my work with them.